From 5 July 1827, her married name became Kennedy-Erskine. On 24 May 1831 she was granted the rank of a marquess' daughter.3 From 24 August 1854, her married name became Gordon. [S11] Alison Weir, Britain's Royal Families: The Complete Genealogy (London, U.K.: The Bodley Head, 1999), page 304. Hereinafter cited as Britain's Royal Families. [S21] L. G. Pine, The New Extinct Peerage 1884-1971: Containing Extinct, Abeyant, Dormant and Suspended Peerages With Genealogies and Arms (London, U.K.: Heraldry Today, 1972), page 153. Hereinafter cited as The New Extinct Peerage. [S8294] Peter and Roger Powell Beauclerk-Dewar, Right Royal Bastards: The fruits of passion (Wilmington, Delaware: Burkes Peerage & Gentry, 2006), page 102. Hereinafter cited as Right Royal Bastards. 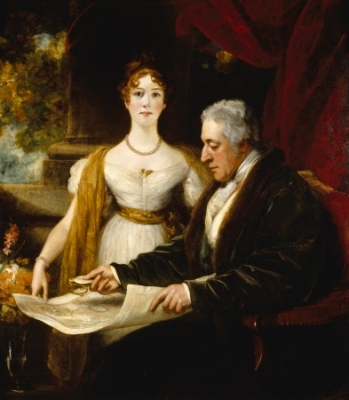 From 18 October 1819, her married name became Fitz-Clarence.3 After her marriage, Mary Wyndham was styled as Countess of Munster on 4 June 1831. [S6] Cokayne, and others, The Complete Peerage, volume III, page 68. [S6] Cokayne, and others, The Complete Peerage, volume VI, page 89. [S6] Cokayne, and others, The Complete Peerage, volume XII/2, page 589. [S18] Matthew H.C.G., editor, Dictionary of National Biography on CD-ROM (Oxford, U.K.: Oxford University Press, 1995), Carteret, John. Hereinafter cited as Dictionary of National Biography. [S6] Cokayne, and others, The Complete Peerage, volume VII, page 437. [S6] G.E. Cokayne; with Vicary Gibbs, H.A. Doubleday, Geoffrey H. White, Duncan Warrand and Lord Howard de Walden, editors, The Complete Peerage of England, Scotland, Ireland, Great Britain and the United Kingdom, Extant, Extinct or Dormant, new ed., 13 volumes in 14 (1910-1959; reprint in 6 volumes, Gloucester, U.K.: Alan Sutton Publishing, 2000), volume XII/1, page 487. Hereinafter cited as The Complete Peerage. [S10] John Pearson, Blood Royal: The Story of the Spencers and the Royals (London, U.K.: HarperCollins, 1999), pages 67. Hereinafter cited as Blood Royal. 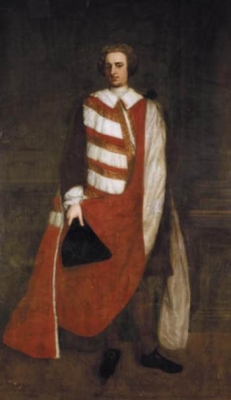 He was educated circa 1722 at Eton College, Windsor, Berkshire, EnglandG.3 He succeeded as the 7th Baron Spencer of Wormleighton [E., 1603] on 15 September 1729.4 He succeeded as the 5th Earl of Sunderland [E., 1643] on 15 September 1729.7 He held the office of High Steward of St. Albans in 1731. He succeeded as the 3rd Earl of Marlborough, co. Wilts [E., 1689] on 24 October 1733. He succeeded as the 3rd Duke of Marlborough [E., 1702] on 24 October 1733.7 He succeeded as the 3rd Marquess of Blandford [E., 1702] on 24 October 1733. 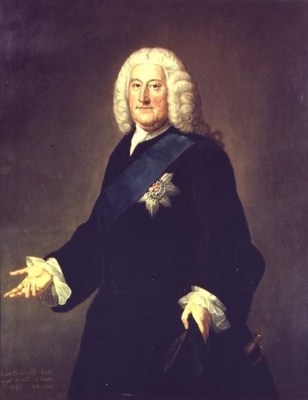 He succeeded as the 3rd Baron Churchill of Sandridge, co. Hertford [E., 1685] on 24 October 1733. He gained the rank of Colonel in 1738 in the 38th Foot.4 He held the office of Lord-Lieutenant of Buckinghamshire between 1738 and 1758. 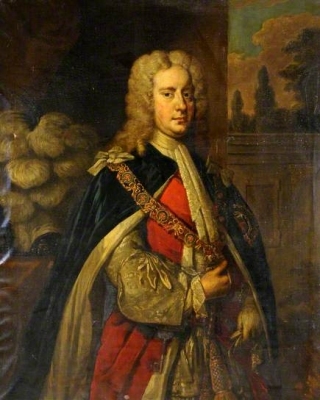 He held the office of Lord of the Bedchamber (Whig) from 1738 to 1743.4 He held the office of Lord-Lieutenant of Oxfordshire from 1738 to 1758.4 He was appointed Knight, Order of the Garter (K.G.) on 20 March 1740/41. He gained the rank of Brigadier-General in 1743.4 He fought in the Battle of Dettingen on 27 June 1743 at Dettingen, GermanyG, where he distinguished himself.4 He was appointed Fellow, Royal Society (F.R.S.) on 12 January 1743/44.4 He gained the rank of Major General in 1745.4 He was awarded the honorary degree of Doctor of Civil Laws (D.C.L.) by Oxford University, Oxford, Oxfordshire, EnglandG, on 4 June 1746.4 He held the office of Lord Steward of the Household from 1749 to 1755.4 He was appointed Privy Counsellor (P.C.) on 12 June 1749.4 He held the office of Master General of the Ordnance from 1755 to 1758.4 He held the office of Lord Privy Seal from January 1755 to December 1755.4 He gained the rank of Lieutenant-General in 1758.4 He fought in the expedition against Cherbourg and St. Malo from May 1758 to August 1758, as Commander in Chief.4 His last will was dated 7 May 1758. [S6] Cokayne, and others, The Complete Peerage, volume VIII, page 499. [S6] Cokayne, and others, The Complete Peerage, volume VIII, page 500. [S6] Cokayne, and others, The Complete Peerage, volume XII/1, page 153 and 489.